Tnpsc VAO Exam Model Question Papers Pdf Download: Practice Makes a man Perfect. To get best practice, aspirants must practice model question papers. Here also we have given Tnpsc VAO Exam Model Question Papers for your practices. More model questions will be uploaded day by day. Candidates keep visit and download Tnpsc VAO Exam Model Question Papers here. Recently Tamil Nadu Public Service Commission ie) TNPSC has released an official Notification to fill the post of Village Administrative Officer (VAO) which is commonly said to be the TNPSC VAO EXAM for the year 2017. This Exam is normally conducted to fill the Vacancy of VAO officer all over Tamilnadu. TNPSC, a department of the government of Tamil Nadu which is responsible for governing the recruitment of personnel into the state’s public service conduct these Examinations. VAO is considered to be one of the most common job among the job aspirants and nearly lakhs of members used to write this Exam. How are you gonna to differ from others? This is the common Question everyone has in their mind. Don’t worry guys WINMEEN.COM is gonna help you to pass this exam. Now we are take the first step.. The first step to take before writing each exam is to analyse each Exam. Without an idea of a Exam nobody can crack it. How can we do that? The best solution is referring the PREVIOUS YEAR MODEL QUESTION PAPERS. As the Notification is released by TNPSC many aspirants would have started to search for the TNPSC VAO EXAM PREVIOUS YEAR QUESTION PAPERS. To save your time here we are gonna provide you the VAO EXAM previous year model Question Papers. These Question Sets are released in the previous year and these model question papers can also be used by you with which you can write model Exams and asses yourself. The main reason of procividing this newspaper are you will have an basic idea of the exam and you will get a model of the question Paper which is asked in previous years. It is also a wise decision to know about previous year question paper. Some of the candidates would started their preparation and they would have also prepared for VAO exams. But they will not have an idea about the model of the Question paper. To make difference from them and to do some unique preparation, Model Question Papers is gonna be a big leap(Step) for you. To reach that WINMEEN.COM is gonna provide you all Model Question papers. 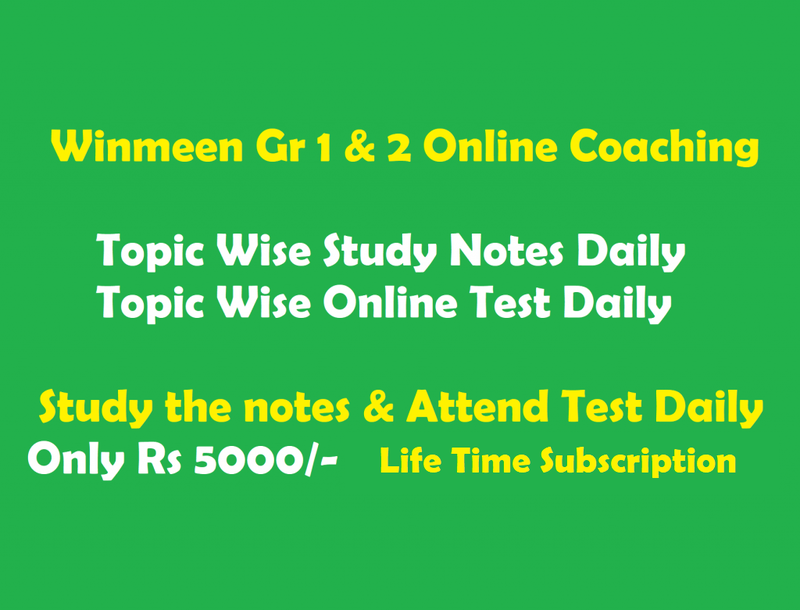 Candidates can download all the question Papers in our official website WWW.WINMEEN.COM. As per the advertisement referred above it is said the expected VACANCY is about 4000. Nearly lakhs of Candidates is gonna write this exam. To compete them this model question is gonna help you. Not only Question Paper we are also providing the required Answer key so that you will get an clear idea while referring our question papers. One of the main request to the candidates is that the Model question has both GENERAL TAMIL AND GENERAL ENGLISH sets. Student should not get confused with these sets. Candidates can download these model question given in our website separately. Tnpsc VAO Exam Model Question Papers are uploaded below. please update general english materials for tnpsc. Hello, can you please provide the model questionpapers in English also. Please help me. in this exam english lang also provided? which date come tnpsc vao notification?